Bozin Productions offers the highest quality gaming tables at competitive prices. 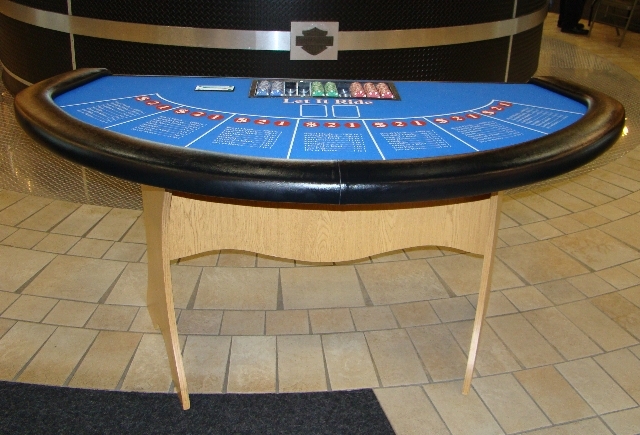 We also have table top slots machines and 48-inch Wheels of Chance available. 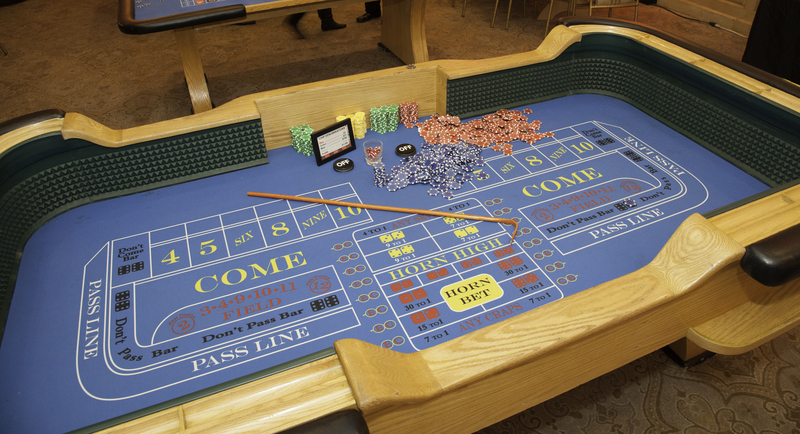 The Roulette tables are covered with top quality, 100% wool felt with and original casino layout. The tables have a black vinyl padded armrests. 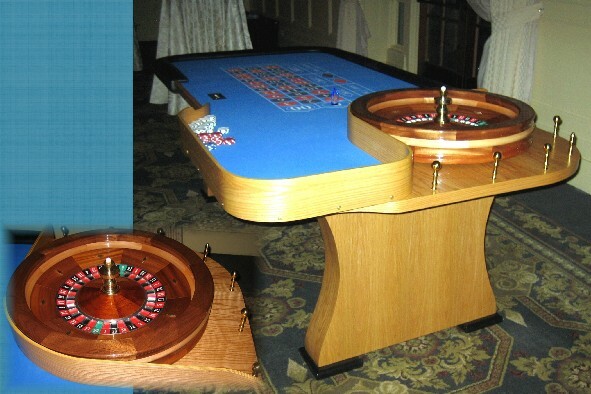 The legs are oak-finished, and solid brass posts surround the area where the roulette wheel rests. The 27-inch professional Roulette Wheel is the highest quality wood roulette wheel available. There are several layers of only the finest maple, cherry wood and mahogany wood. 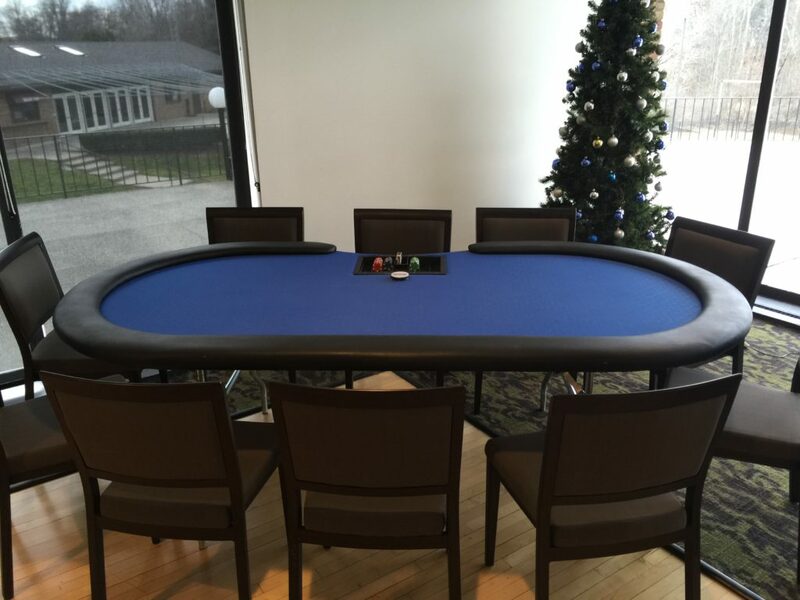 This deluxe Let It Ride table is built using the same design and quality that is found on professional casino tables. It features oak-wood finishing, padded armrest, padded wool felt and a built in chip tray. 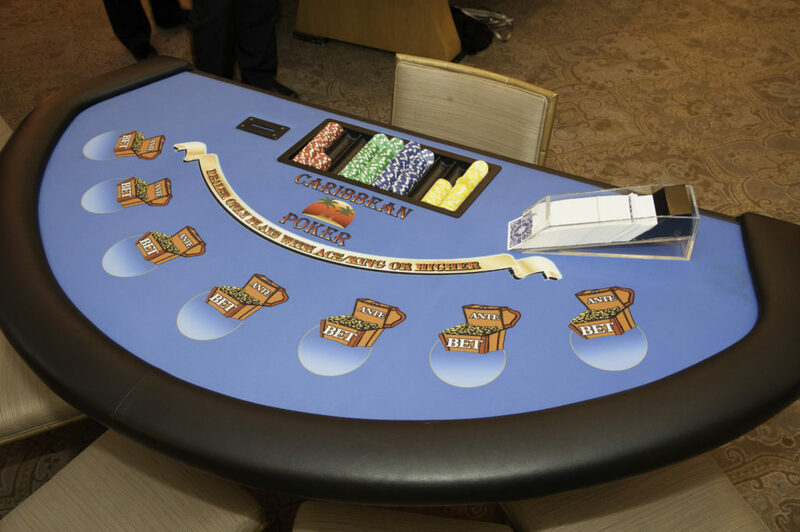 This deluxe Caribbean Poker table is built using the same design and quality that is found on professional casino tables. It features oak-wood finishing, padded armrest, padded wool felt and a built in chip tray. 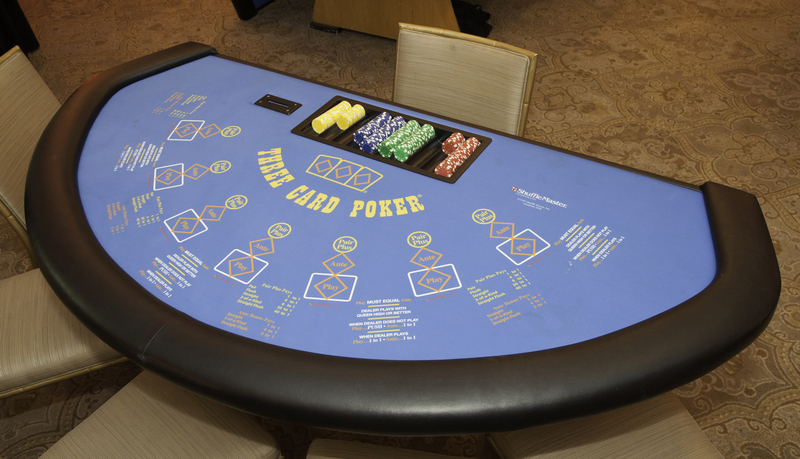 This deluxe Three Card Poker table is built using the same design and quality that is found on professional casino tables. It features oak-wood finishing, padded armrest, padded wool felt and a built in chip tray. Absolutely the best! Ten-man plus dealer spot, Texas Hold’em tables. 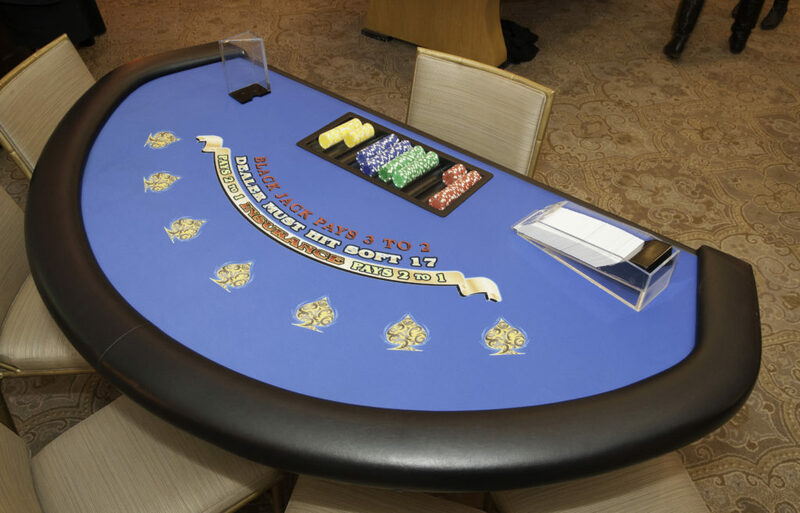 These tables are made with the same materials that casinos use. They are very sturdy and have plush bumpers surrounding the top. The tabletop surfaces are pine green. Top off your special event with some of the finest gaming accessories around. 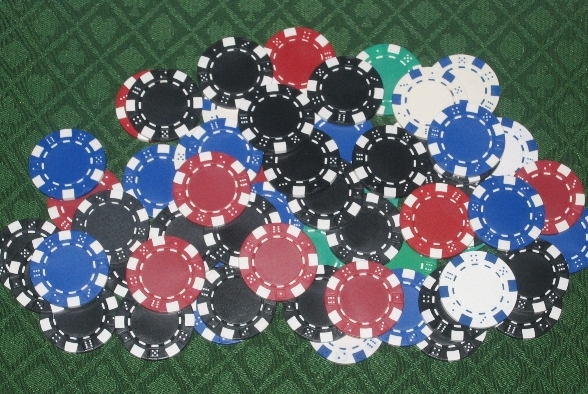 Using these poker chips will allow your event to look, feel and sound like a real casino. Take the hassle out of buying new or used decks by renting the highest quality cards on the market. 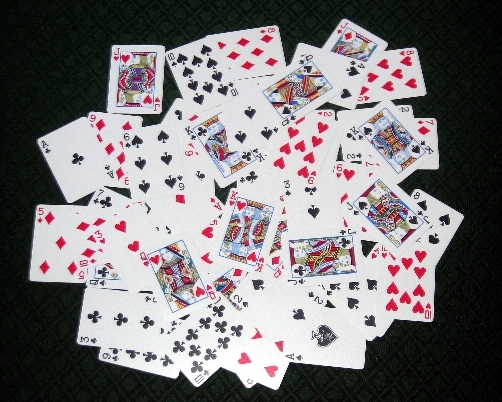 These cards will not bend, they are hard to scratch and can be washed on a regular basis. This will ensure the integrity of your event and keep all of the players on an even playing field.